Like previous trips, here's some general information on heading out from Ireland. I also suspect we're on the cusp of a pile of people starting to travel in 2014 - there's a whole new generation of people coming through - so perhaps some of this will be useful. Irish Ferries are now running a boat to Cherbourg directly from Dublin Port. It's one of the old truck freight ships that has been retro-fitted so the rooms are fine, but facilities are limited (not to mention it's nowhere near as good in rough seas). There is free wifi which is kind of surreal in the Atlantic. Taking a Transporter-sized van abroad, Irish Ferries have since told me that it can be put on as a car as it's just under the 1.9 metre limit (saves about €40 each way which can pay for a cabin :) We paid about €440 return including a cabin. The Transporter turned out to be ridiculously good on fuel. We filled it to the brim in Dublin (we arrived into France on a Sunday when all fuel locations in towns are closed) and incredibly, if I'd have been crazy enough would have driven the whole way to Lleida (about 1100 kms) in Spain on a single tank of fuel cruising down at about 110km/hr (when the drive is going to take 12/13 hours of driving anyway, I never see any reason in going super high speed to save an hour - and it reportedly is about a 10-25% saving on fuel). Well worth the detour to the campervan site - the gorgeous town we got to spend a morning in. In France, there is tons of campervan-specific sites to stop off in. I wouldn't recommend the petrol stations on the motorways - I've heard lots of horror stories now! - so these are well worth searching for. Good facilities and usually very close, or right in the middle in the case of the one we found, to a town. Once there, I think we spent around €40 in fuel for the whole month. When this is your free campsite, it's hard to complain! 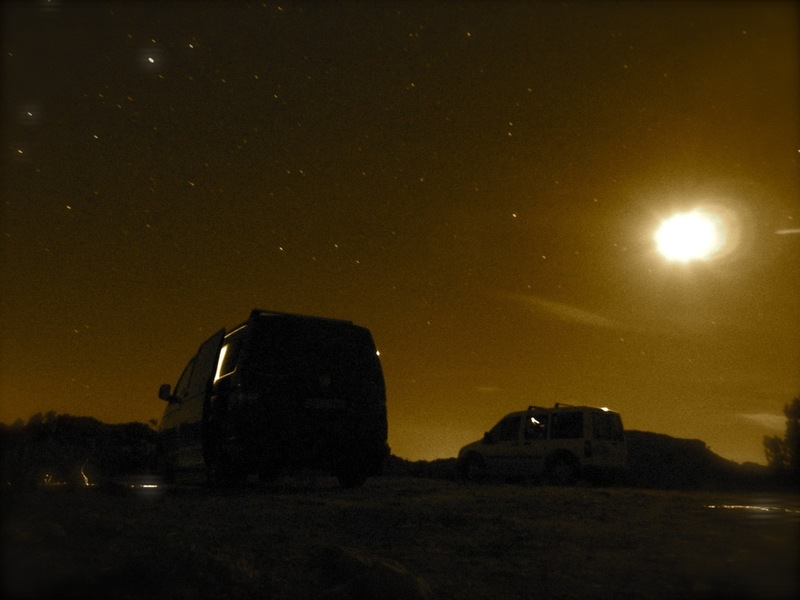 We used the van and camping in Spain is free in most of the climbing areas in a van. Obviously you have to be smart and respectful when it comes to using toilet facilities and getting rid of waste water from the sink but it's easy. Margalef especially is well set up - there's a free parking area on the edge of the village specifically for campervans as they've realized that we'll spend money in the town by staying there and support local businesses. You can also pay in the local refugios/hostels (Facebook link) for shower and clothes washing facilities. The van was great overall. 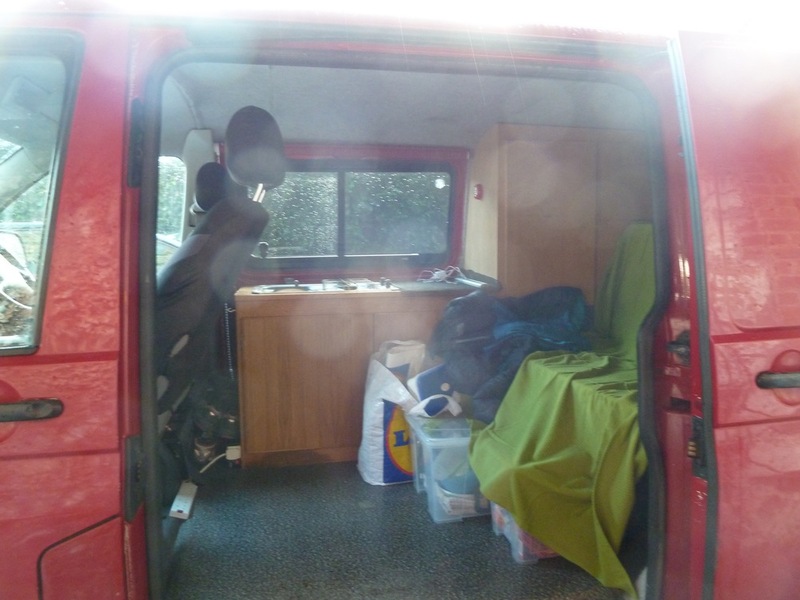 I can see the benefits of having a standing-room space inside the van for more room, but it also adds extra weight to the vehicle, etc etc. Too big a campervan, and you can't access the crags as the roads are so narrow. The most ingenious solution to this was a German guy who was driving the equivalent of a Winnebago - except there was a garage in the back where he kept a small dune buggy; park the van up in the local village and then drive up the small roads in the buggy to the crags! It was too cold to sit outside at night unfortunately so our deck chairs were largely wasted - having said that, they are still great for relaxing days reading (of which we had many). You can buy sim cards cheaply now in most European countries so bring your phone unlocked from the network. We met some people who had a sim card, €15 for a month with loads of data (quicker than the free wifi in the hostels) which would have been very smart. There's, more often than not, a free fountain with water in all the villages so you can always keep stocked up on water. Any other questions people have? I'm sure there's loads I've missed....... Reply in the comments below!